As someone who has lived in Frankfurt for almost seven years now, I’ve watched my adopted hometown transform from a place selling one-ingredient sandwiches to a city with a veritable smorgasbord of foodie options. Many of these places are fairly hidden being almost reminiscent of the speakeasy-era, but fear not – equipped with this list you’ll be able to tour all the city’s best eateries like a local in no time at all. A beautiful plate of food from VIF. All photos by the author. My story begins last year when I decided to visit a new bistro in Frankfurt’s Westend neighbourhood. VIF had just opened its doors and came highly recommended by my friends. VIF’s owner, Louise, is a young entrepreneur originally hailing from the area surrounding Düsseldorf, who, after travelling the world for a year, landed at Frankfurt airport and never left town. 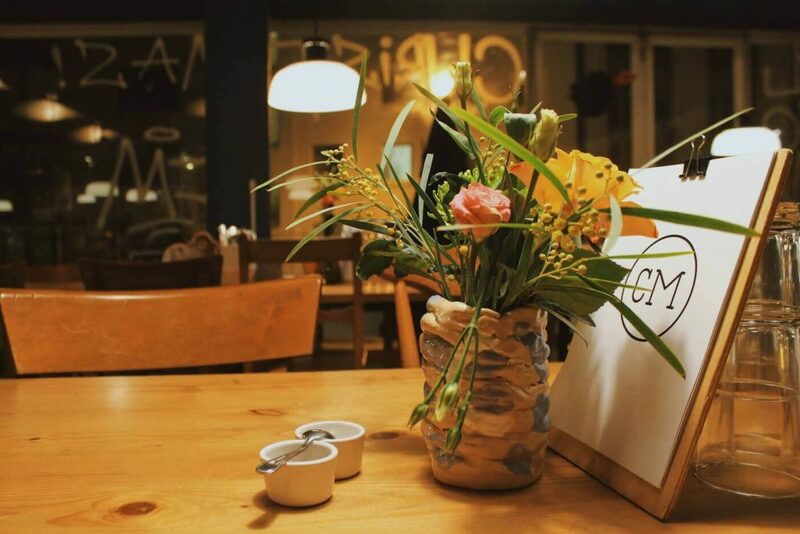 She’s succeeded in making VIF the perfect local hang out – it’s intimate and cosy and the food is amazing too. 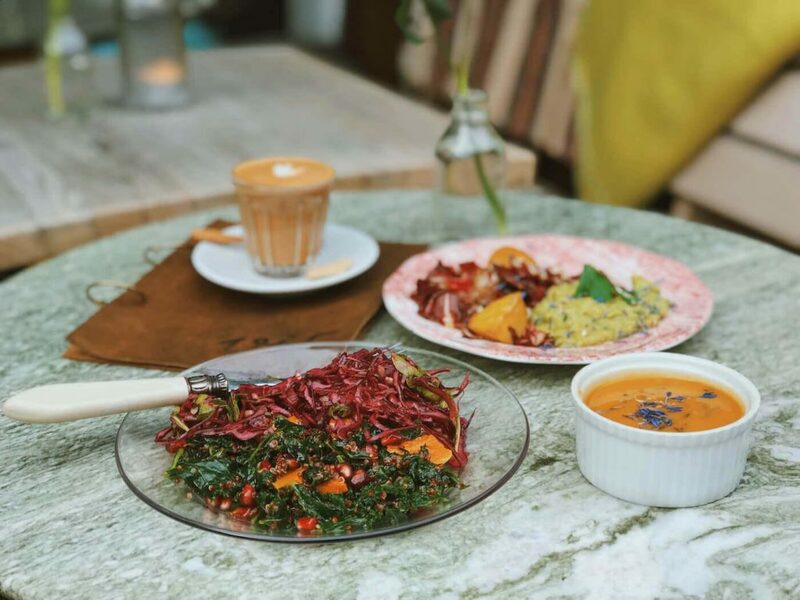 And with a kitchen using only organic ingredients and a team that makes the tarts, soups and salads fresh from scratch daily, you’ll always get a delicious plate of top-notch food at VIF. Louise tells me VIF is now the first cafe in Frankfurt to accept Bitcoin, and now that she’s open until late most nights, you’re always welcome to stop by for a nibble and a drink. 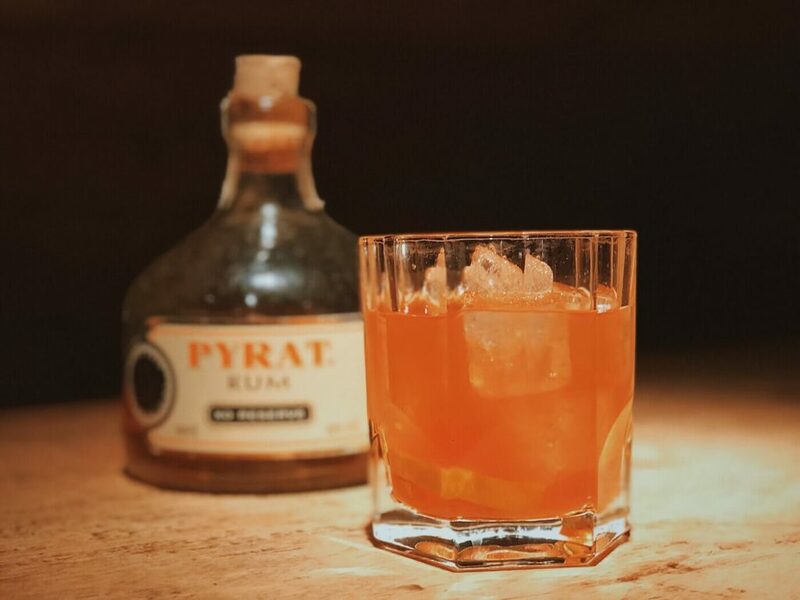 Grab a drink at Walon & Rosetti for a chance to rub elbows with a hip, local clientele. Moving on now to my area: the ​‘Bahnhofsviertel’, also internationally known as Frankfurt’s Red Light District. While notorious for its debauchery, the BHV has in recent times become one of the hippest parts of town. Although you’ll still find quite an ​‘eclectic’ mix of people in the area, the BHV is also home to some of the city’s best bars and restaurants. Many of the best establishments are however not clearly visible when standing on the street, so listen up if you want to make sure you don’t miss out on your next trip. Plenty of hearty meals on offer here, too. First off we have a local favourite of mine: Walon & Rosetti. This cosy nook of a watering hole offers delicious bar and grill fares, making it a popular choice among the locals. Case and point: W&R can be packed full, especially on weekends, but when I haven’t been able to score a table, I simply plonk myself at the bar instead. Also, if you should have trouble finding a seat, you can always visit their other nearby location: Le 29 Bar. Club Michel – one of Frankfurt’s best-kept secrets? Just around the corner from Walon & Rosetti lies a secret restaurant that I must have visited over 50 times by now. I first heard about Club Michel from a former colleague who is very much in the ​‘Frankfurt-know’, and I’ve been coming back time and time again ever since my first visit. Why? The menu changes up every time I go as they host guest chefs from around the world. Additionally, Club Michel’s interiors are plain cool and make it feel more like an apartment than a restaurant: the space is modern and filled with the owner’s favourite art, and you’ll even have to ring the doorbell to get in, just as if you were visiting a friend. Book a table by giving them a call or, if you want to know what’s on the menu, sign up for their weekly newsletter. All in all, I guarantee a visit to Club Michel won’t disappoint. The restaurant usually offers tables from Thursday to Sunday for two time slots: 6 or 8 PM. Gourmet dining made affordable at Kraftwerk. A short drive up to Frankfurt’s northern suburbs and you’ll reach one of Germany’s finest restaurants. I’m happy to report I’ve had the pleasure of eating at Kraftwerk and I can only recommend you do the same. Owners Daniela Finkes and Bertl Seebacher have been running this establishment for eight years with great success. 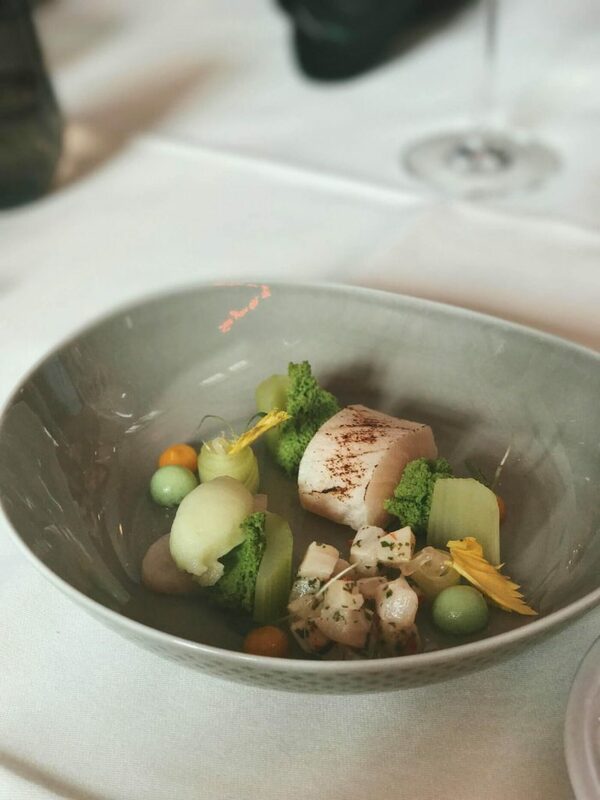 Originally an actual mechanics workshop, Daniela and Bertl decided to leave this impressive space as-is, lending quite the creative twist to the notion of classic fine dining. Speaking of which, Kraftwerk is part of JRE – a German gourmet food network offering foodies the chance to sample gourmet meals for a low entry price. At Kraftwerk, a four-course meal will only set you back €49, a five-course meal €69 or, if you like, you can spring for the ​‘all-in’ five-course meal with wine pairings for €89. While their menu is only available in German, I assure you it’s all delicious. Also, the staff all speak English, so rest assured you’ll be in good hands when you arrive. Tuesday – Saturday: 18:00 – 24:00. 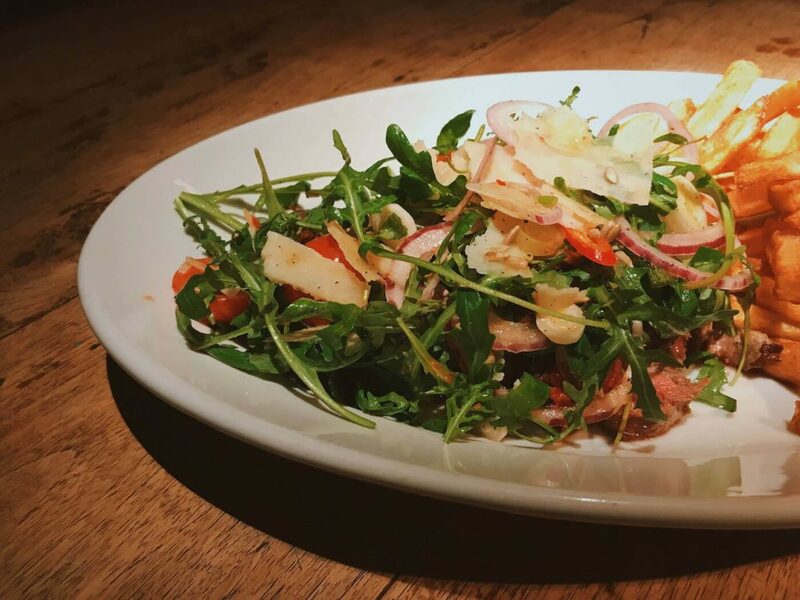 Kick back at Naiv with a glass of wine and moreish dishes aplenty. 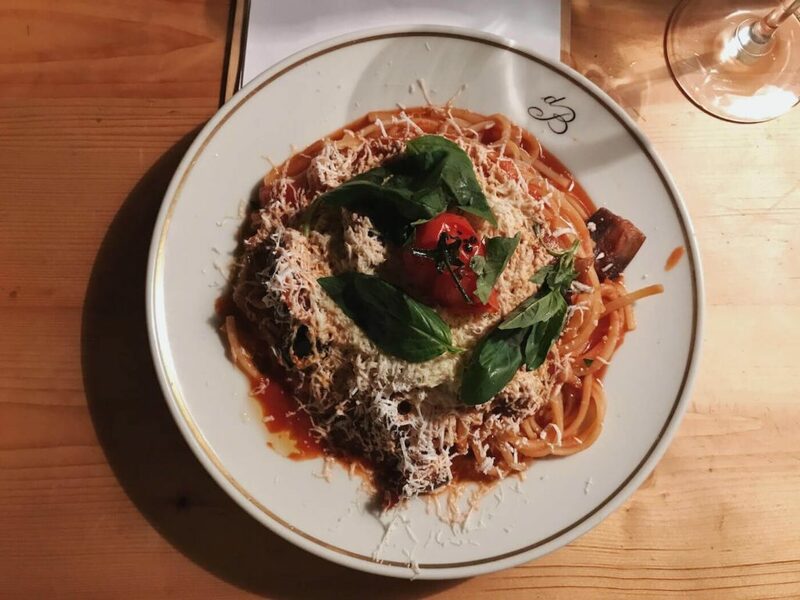 Once you’ve had your fill of fine dining, there’s no better way refamiliarize yourself with Frankfurt’s no-nonsense food scene than grabbing a bite at Naiv. Although I’m not a huge beer drinker, I know they specialise in craft beer, have a plentiful supply on offer and even hold beer tastings. Plus, they happen to be across the road from Holy Cross, one of my favourite Frankfurt cafes, so there’s plenty of reasons to drop by this part of town. 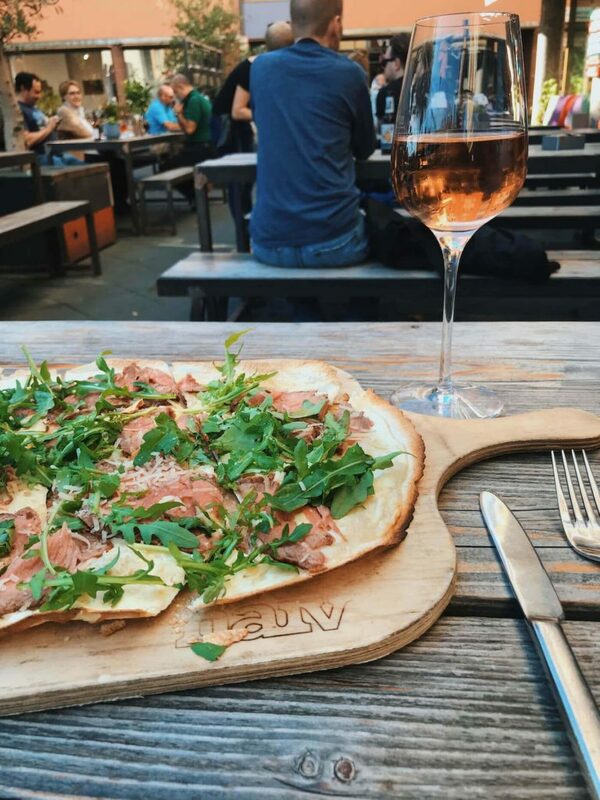 My hot tip at Naiv is the roast beef, honey and parmesan flatbread, which I like to pair with a glass of rosé. For speciality gin and liquor, pop in next door at their bottle shop and buy yourself a Frankfurt memento. Weekends: 12:00 – 1:00 AM. These restaurants are just the tip of the iceberg really. As Frankfurt keeps expanding, so does the food scene. 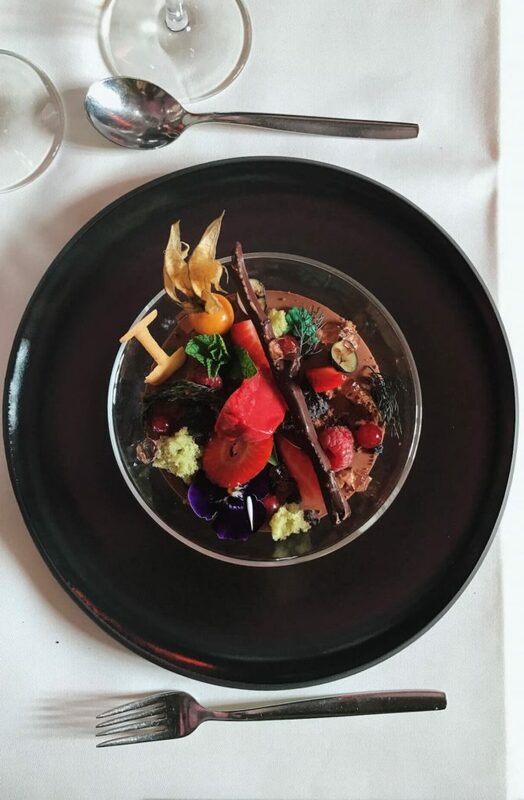 I have witnessed firsthand how much a city can change in the space of a few years and I’m pretty sure, that given a few more, Frankfurt might morph into a world-renowned foodie destination. All the more reason to visit now, before the city’s best-kept secrets become public knowledge.